Skype is one the most prevalent communication applications in the world that specializes in providing voice call services and video chat. Let see how to add Skype share in WordPress. First install and activate the Plugin Skype share. To permit the Skype share button, tick the Enable share button option. Skype share is adept to auto detect the language of your WordPress website. In case, it does not then select the language manually. Once this is completed, you can see the Skype share button functioning on your website. 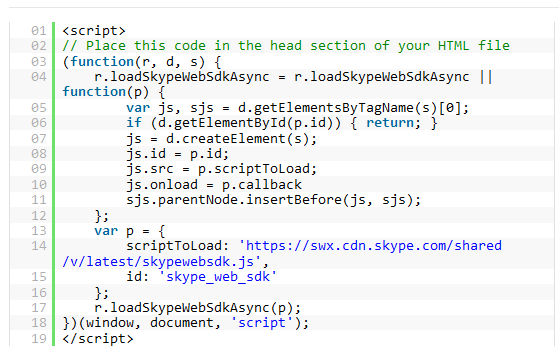 To manually add Skype share in your theme files, you need to follow the below code. In the head section of your file, you need to add the following script. This can be directly done by editing the header.php file or by making use of Enqueue scripts. Now in your single.php, index.php, loop.php, category.php, index.php and archive.php add the following code given that it is placed in the post loop. The data-style can be changed to small, large, square or circle. Even the language can be set to the desired language.